I love yogurt. I particularly like plain full fat Greek yogurt. I had a bit of honey, a spoonful of preserves or fresh fruit. yogurt was at the top of my list to try! I got the Instant Pot Duo60 7-in-1. It has a yogurt button! 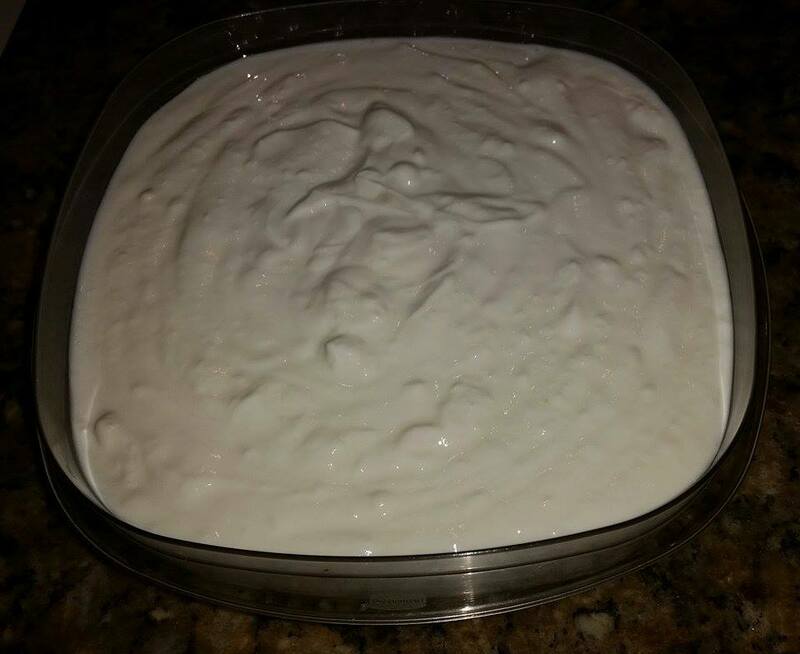 Yeah, first homemade cheese and now homemade yogurt. 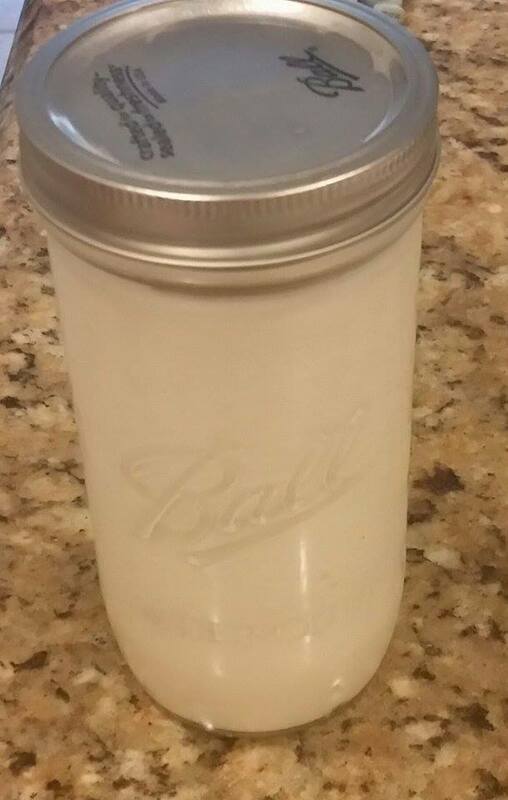 I did a quick Google search and found Tidbits Homemade Yogurt recipe. I followed the basic method, but left out the powdered milk and the vanilla beans (because I’m not that fancy…but maybe one day). The pot will beep when ready (about an hour). Let it cool to about 115 degrees F. It cools faster if you take the inner pot out and sit it on the counter. I just let it cool until it’s still hot, but I can stick my finger in it without instantly recoiling because my only thermometer is stuck on 80 degrees and I keep forgetting to get another. I’ve made three batches and they’ve all come out fine, so that method is working. Once it reaches approximately 115 degrees, you mix in your “starter.” For a gallon of milk, this is a half cup of plain yogurt. (Once you’ve made your yogurt you can use the homemade stuff for future starters.) This is where you add a tablespoon of pure vanilla extract if you’d like.
. Put the inner pot back in and the lid back in place. Hit the yogurt button again. It will go for eight hours. So don’t start it at 4 in the afternoon without reading all of the directions like I did the first time I made it. will beep to let you know when the eight hours have passed. There will also be a countdown timer going on the pot. , cheesecloths, nut bags, etc. to your desired consistency. I just put a thick layer of paper towels over the top of it and put it in the fridge right inside the stainless steel pot. Change the paper towels out when wet if it is still too thin for you. This method doesn’t get you any whey, but I don’t really need jars of whey around. Lots of people use it in other recipes, so do what works for you. I’ve been able to score a gallon of store brand milk for under four bucks. The gallon of milk produces between 3 and 4 quarts of yogurt, depending on how much I let the paper towels soak up. A quart of yogurt is at least $4, sometimes up to $6 depending on the brand and store. So this is a HUGE money savings. And the TASTE! OMG. 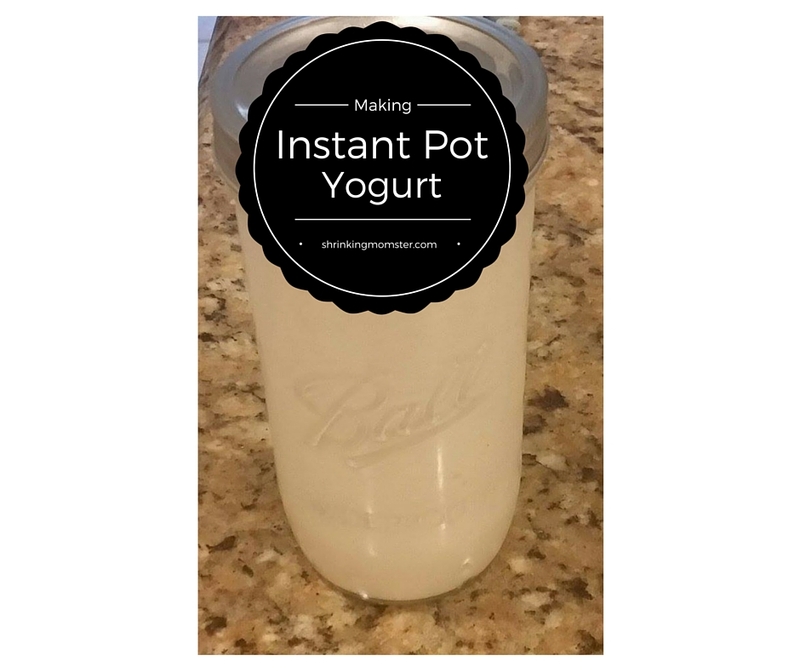 Instant Pot yogurt is the best I’ve ever had! If I knew homemade yogurt was so yummy, I would have bought one of these pots as soon as they came out! I store it in big containers in the fridge. I’ve also scooped some into mason (ok, mine are Ball brand) jars to give to friends. Things look fancy inside mason jars. 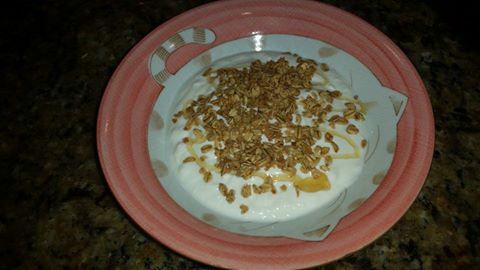 My daughter loves it with honey and granola. And if you eat a lot of yogurt, the savings will quickly pay off the purchase of an Instant Pot. How long does this yogurt last?